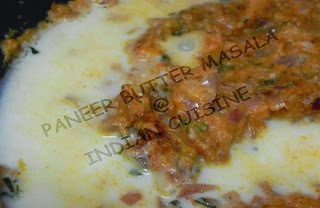 Paneer Butter Masala is one of a popular Indian dish. 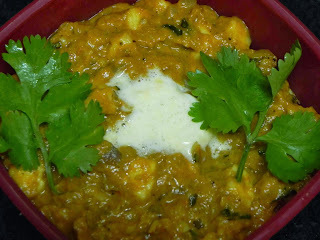 A delicious Punjabi recipe made with, paneer, cooked in spicy rich tomato gravy. 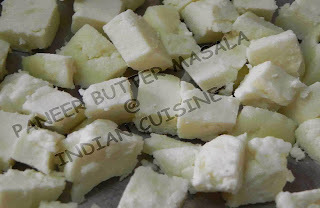 Here is a restaurant style mouth watering recipe where I have used home made Paneer, home made fresh cream, all the home made purees and pastes. 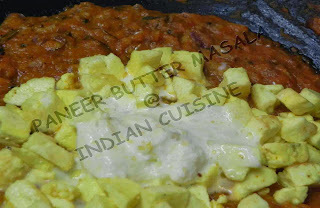 Take 1 table spoon of ghee, heat in a pan for 2 mins, the saute the paneer cubes in it till golden brown; Now take 1 cup hot water, add a pinch of salt and turmeric powder to it and immerse the paneer cubes in it for 10-12 mins. Then remove the pieces, drain them on a tissue paper and keep aside. Skin two onions and blanch them(boil in hot water for 3 mins, then transfer to cold water) then puree them to form a paste. Do the same with tomatoes, unless you are using tomato puree directly. Prepare a paste of cashew soaked in water for 2 hours. 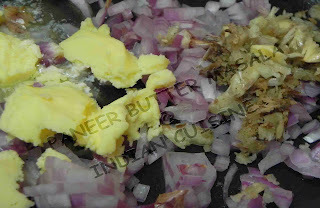 Heat 2 table spoon of butter in a pan, and 1 big chopped onion. Fry until golden brown. Add ginger-garlic paste. Fry for a minute. Add prepared onion paste, saute for 3 minutes, till light-brown.. Add chilli powder followed by the cashew paste and fry for 5 mins. Add tomato puree, tomato ketchup, crushed kasuri methi, turmeric powder, garam masala and salt. Stir and let it simmer for some time. 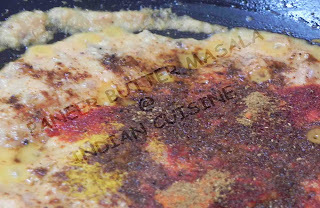 Add a small cup of milk and let it cook on medium heat till you get the desired curry consistency. 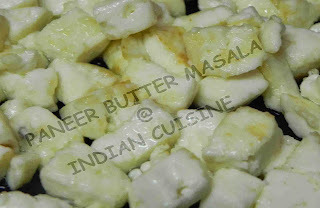 Add the paneer cubes and simmer for 4-5 minutes.Remove from fire, stir in remaining butter and fresh cream. 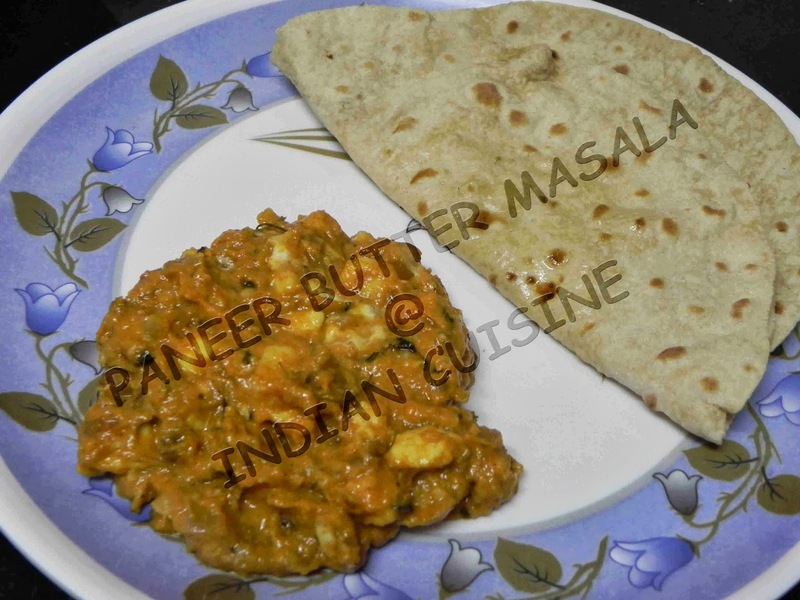 Serve the Paneer Butter Masala with any bread of your choice, roti , pulao or simply jeera rice.